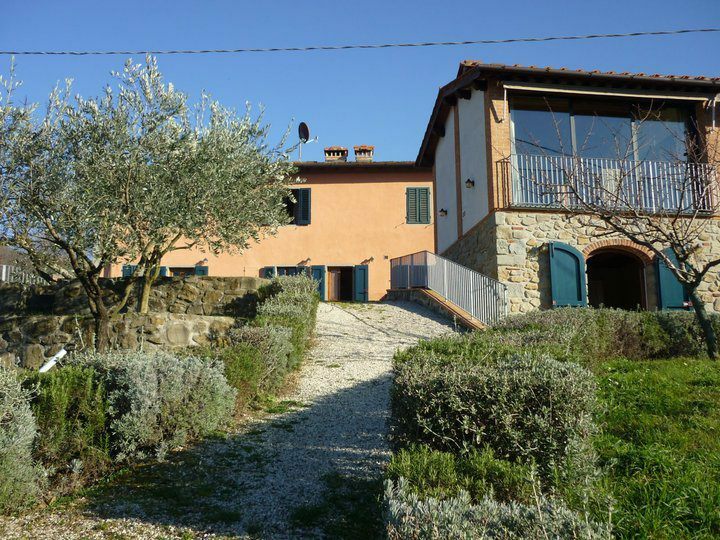 Nestled 5km above Pescia, Casa di Nonna offers luxurious holiday rental accommodation in the heart of Tuscany, Italy. 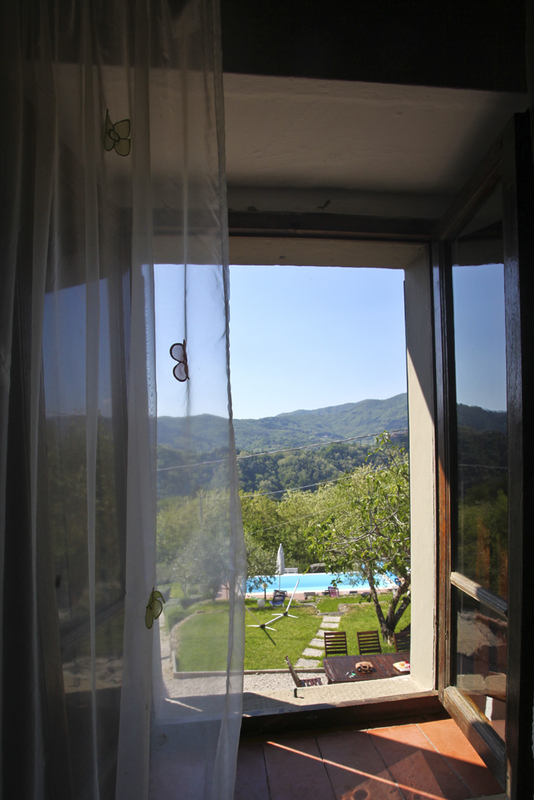 This old rustic farmhouse villa is set in an idyllic location high above an unspoilt woodland valley where wild boar and deer roam. 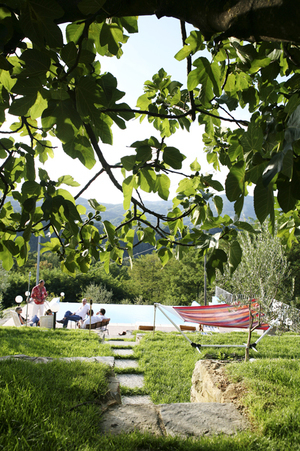 Surrounded by its own olive and fruit trees, the Casa has a large infinity pool and enjoys fabulous views over the mountain range. The main villa’s luxuriously appointed accommodation sleeps 8/10 and includes two double bedrooms (one with four-poster bed), bathroom/shower, twin bedroom with en-suite wc, large kitchen, utility room and lounge. 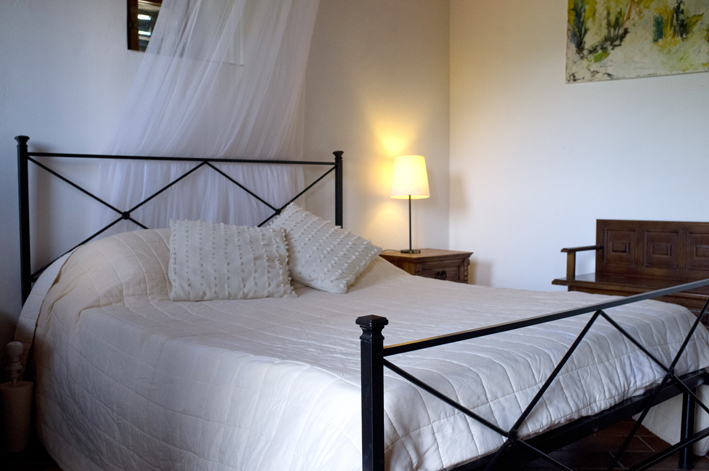 Adjacent to the main villa is the Cherry Tree barn which sleeps 2/4 and includes lounge (with comfortable pull-out sofa bed), double bedroom with four-poster bed, bathroom/shower and well-equipped kitchenette and stunning views of the countryside from both the lounge and bedroom. Both buildings have cable television, DVD and stereo system and have fully-equipped kitchens featuring SMEG cooker, fridge, dishwasher and a full range of cooking utensils and crockery. 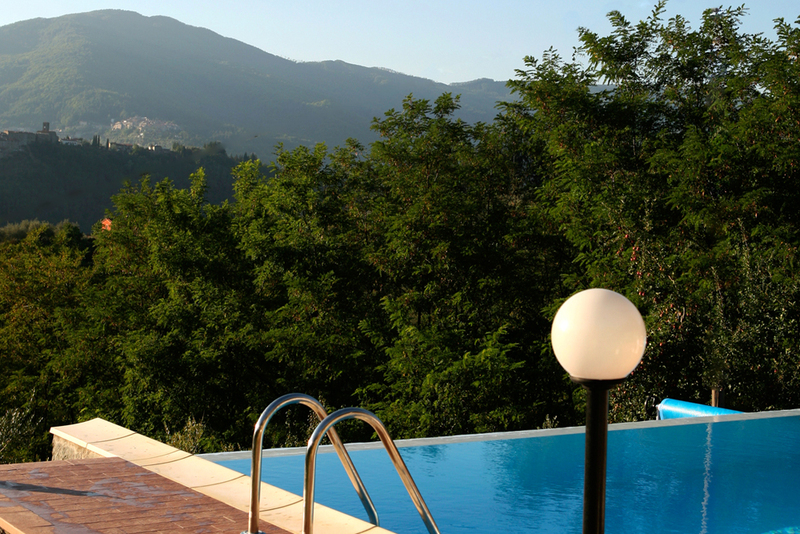 Outside the villa, the garden has a large barbecue area with surrounding terraces extending down through olive and fruit trees to a pair of stepped-down infinity pools which give stunning views over the wooded valley and hilltop villages beyond. The Casa offers plenty of options when it comes to eating, outdoors or in – whether it’s breakfast on the terrace, lunch by the pool, a barbecue or candlelit dinner – the perfect backdrop for any meal. Please note that the two units are let together as a single rental. 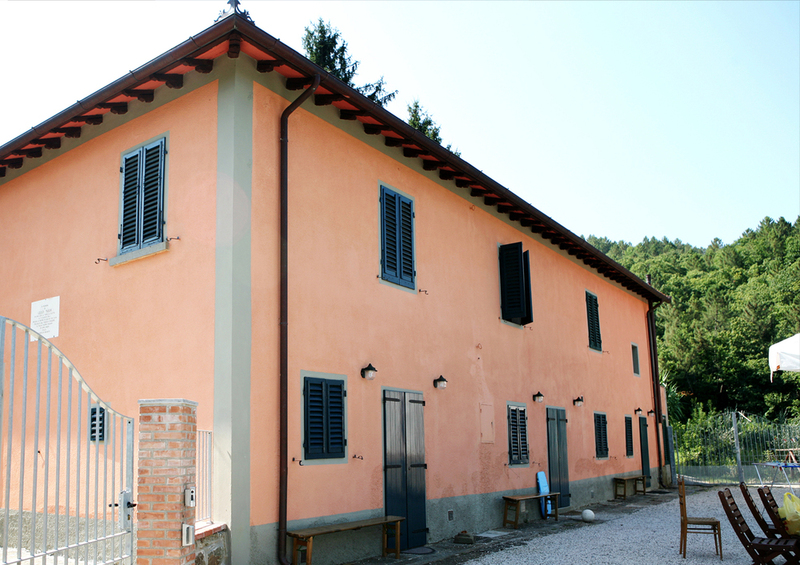 Casa di Nonnas is a great base for family get-togethers, groups of friends, cycling and walking holidays or visiting the region’s many historical and cultural treasures – Lucca, Pisa, Montecatini Terme, Florence, Siena, San Gimignano are all are within 30 minutes to 1hr 30m away by car. Tuscany has it all.. history, art, culture, amazing food and great wine… all set amidst stunning countryside and medieval towns and villages which have changed little in 600 years! You’ll need to hire a car when staying at Casa di Nonnas to get the most out of your stay – whether you’re stopping for a cappuccino, a relaxing lunch or calling in for a glass of wine at one of the area’s many vineyards. You’ll find it easy to escape the crowds and chance upon unspoilt hilltop villages, with restaurants that are truly local revel in the delicious flavours of Italian home cooking, where even the simplest combination of ingredients elicits disbelief at how something so modest can taste so good! This is a Tuscany where you can find traditional estate vineyards and be warmed by some of the finest wine you’ve ever tasted, while standing on the very earth that created it! This is a region famed for its cheeses and porcini mushrooms that ignite the senses, it’s a place where you can soak up intensely aromatic olive oil with freshly baked bread that’s a million miles away from anything you’ve ever bought in a supermarket. Our expert local knowledge and experience will help you get the most out of your stay – a truly memorable holiday experience combining history, art, culture, gastronomy, fine wine and much more. 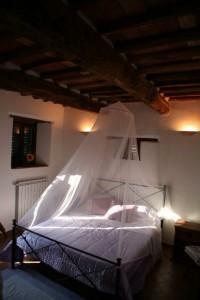 To discover the spirit of Tuscany is, quite simply, to fall in love! 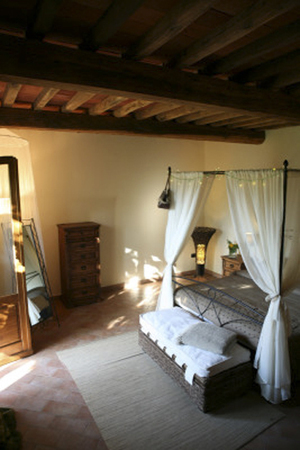 Just 30 minutes away from the Casa is the beautiful walled city of Lucca, birthplace of composer Giacomo Puccini. First colonised by the Romans in 180 BC, the historic centre within the walls still preserves the rectangular grid of the Roman street plan, though the earliest inhabitants were the Etruscans.Traces of the old Roman amphitheatre can still be seen in the Piazza dell’Anfiteatro. The old city walls are completely intact and are used predominantly by pedestrians and cyclists – bicycles for all the family are available to hire and it’s a great way to explore this cycling-friendly city, with safe, largely traffic-free riding inside the old city or around the 4km battlement walls. Must-see places to see and things to do on your Lucca wish list should include the Guinigi Tower, the Piazza dell’ Anfiteatro and of course, a walk or cycle ride around the walls. Also close to the Casa is the beautiful spa town of Montecatini Terme, with its old-style grandeur built around its mineral water springs. The town’s success began during the early 20th century with the growing interest in spa treatments. Restaurants, hotels, theatres, bars and even a casino thrived on the great influx of tourists and from the late 1800s to the early 1900s the town gained international renown as it became a fashionable destination for the aristocracy and celebrities such as Giuseppe Verdi and Giacomo Puccini, Princess Grace of Monaco and the Kennedys. Montecatini Terme is now one of the most popular destinations in Italy for thermal spa tourism and is home to many shops, cafés, boutiques and restaurants. High above the town is the hilltop village of Montecatini Alto and an historic funicular railway runs up to the village where you’ll find a small castle, three churches, a lovely town square with restaurants and outdoor cafés, shops and stunning views over the surrounding countryside. 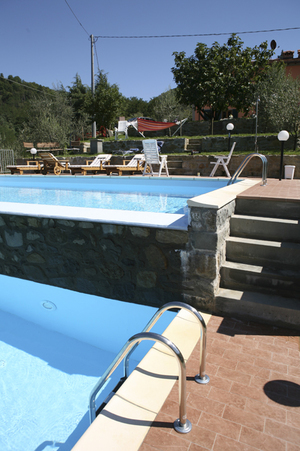 Please contact me if you would like to book one of our high quality villas in the beautiful Tuscan region.